It was 6 AM and my wife’s eyes filled with exhaustion. She’d been in labor for 12 hours and things weren’t progressing. We’d been up most of the night. I rubbed her back through another contraction. That’s when it hit me. No amount of Imodium could save me now. I made it through her next contraction before racing to the toilet. Explosive diarrhea. Uncontrollable. My whole body shook with pain. It was a blur of contractions, pushing, and racing to the bathroom. The next 7 days were filled with bliss as I got to know our new gift, yet looking back I also see it as my worst diarrhea flare-up during the height of my illness back in 2008. I ate Imodium like breath mints. I could hardly eat. 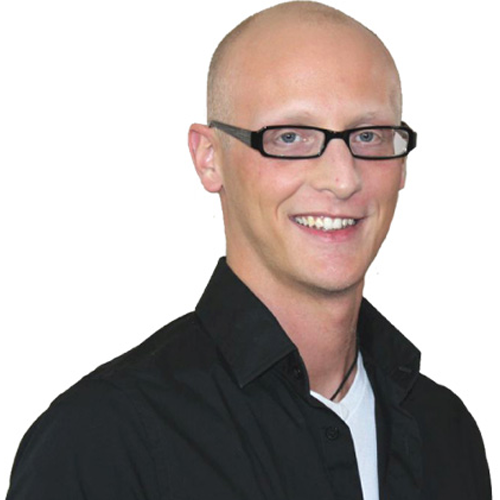 The flare was out of control… and I had a newborn son counting on me to be healthy. Over the next 7 days, we will be releasing four “Diarrhea Flare Trigger” videos to help you understand what causes diarrhea flare ups and what to do about them. We’ll be giving you simple, actionable steps to naturally take control of diarrhea flare ups (and have some fun talking exclusively about diarrhea for a change). If you’re reading this, you’re probably somebody who struggles with diarrhea… and it might only be a couple times a day. Or you might be like I was 5 years ago and having diarrhea 15 times a day. Many times, those of us with Ulcerative Colitis, Crohn’s, Celiac Disease, or IBS may even notice a flare includes more symptoms than just diarrhea. And all these symptoms fall into a diarrhea flare. Let’s call it a “Flare” for short. In the videos we’re releasing over the next 7 days, we’re going to talk about what triggers these Flares and what you can do to take naturally take control. 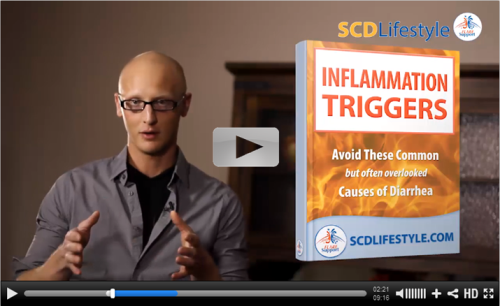 Along with this video, you can download our “Inflammation Triggers” guide, which includes our Inflammation Triggers Exercise to help you pinpoint the 5 triggers most likely causing flares in your life. I also reveal our “Bathtub Theory of Inflammation” and explain why it has EVERYTHING to do with Flares coming out of nowhere and lasting forever. Watch today’s video and download the guide here. Leave your questions or comments below the video and I look forward to spending the next 7 days talking Diarrhea with you.